State Attorney General Ashley Moody appeared in court on Wednesday for the first hearing in the state's lawsuit against opioid drugmakers and distributors. PASCO COUNTY, Fl.a — State Attorney General Ashley Moody appeared in court on Wednesday for the first hearing in the state's lawsuit against opioid drugmakers and distributors. The timing came just days after new court documents were filed in Massachusetts, alleging one of the drug companies named in Florida's suit tried to cash in on the growing epidemic. The document details a secret plan by Purdue Pharma to capitalize off of addicts by selling treatment drugs. While the attorney general in Massachusetts filed that suit, Florida is building its own case. Wednesday's hearing in Pasco County set the stage for that court battle. “I wanted to be here today so you knew how important it was to our office," Moody told the judge. "My office will dedicate every necessary resource to make sure that we can get to trial in an expeditious fashion. We're hoping to get there by May of next year." Moody and lawyers for drugmakers and distributors appeared in court in Pasco County, which prosecutors say is one of the hardest hit areas in Florida. Florida is one of more than 1,500 state and local governments suing drugmakers and distributors, including CVS and Walgreens, for their role in the opioid crisis. New details coming out of a suit in Massachusetts reveal Purdue Pharma, the maker of Oxycontin, once looked to "expand into the business of selling drugs to treat opioid addiction," including suboxone and Narcan. Massachusetts prosecutors say internal company documents for a secret plan called "Project Tango," reveal what the company "publicly denied for decades" — that opioids are addictive. Prosecutors allege Purdue Pharma's internal documents state, "This can happen to anyone -- from a 50 year old woman with chronic lower back pain to an 18 year old with a sports injury, from the very wealthy to the very poor." Project Tango never got off the ground and was discontinued in March 2015, according to court records. "Today’s release of the remaining portions of the Massachusetts Attorney General’s amended complaint is part of a continuing effort to single out Purdue, blame it for the entire opioid crisis, and try the case in the court of public opinion rather than the justice system. Such a serious allegation demands clear evidence linking the conduct alleged to the harm described, but Massachusetts fails to show such causation and offers little evidence to support its sweeping legal claims. Instead, Massachusetts seeks to publicly vilify Purdue, its executives, employees and directors while unfairly undermining the important work we have taken to address the opioid addiction crisis by taking out of context snippets from tens of millions of documents and grossly distorting their meaning. The complaint is riddled with demonstrably inaccurate allegations. Stating that the Purdue board of directors was in possession of an independent report criticizing Purdue’s innovative abuse deterrent formulation of OxyContin, when that same report explicitly recognized that the abuse-deterrent formulation had averted thousands of cases of abuse. Absent from the complaint is any acknowledgement of the fact that most opioid overdoses now result from heroin and illicit fentanyl. In fact, rates of overdoses from illegal fentanyl have skyrocketed in Massachusetts between 2012-2016, according to the National Institute on Drug Abuse (NIDA stats [drugabuse.gov]). Instead, Massachusetts deliberately conflates illegal street drugs with legitimate prescription opioids in an attempt to assign to Purdue liability for all misuse of all opioids. Purdue promoted its opioid medications based on the medical and scientific evidence in the FDA approved label and did so to licensed physicians who have the training and responsibility to ensure that medications are properly prescribed. In April 2010, FDA approved a reformulated version OxyContin, which Purdue developed with properties intended to deter abuse. 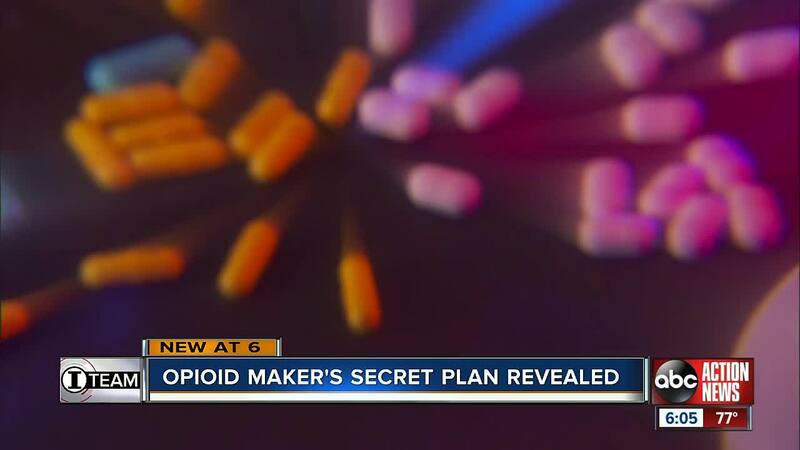 Purdue worked for over a decade to develop the new formulation, investing hundreds of millions of dollars, and it was the first opioid FDA approved with abuse deterrent properties. The Massachusetts Attorney General commended the FDA for supporting abuse-deterrent formulations and later insurers in the state were required to cover them. FDA has directly addressed many of the scientific issues complained of in the Massachusetts complaint and has continued to determine that Purdue's opioids are safe and effective for their intended use. In 2016, the Centers for Disease Control (CDC) issued a new guideline for prescribing opioids for chronic pain (CDC Guidelines [cdc.gov]). Purdue immediately emailed the guidelines to over 150,000 healthcare professionals throughout the country and subsequently distributed thousands of CDC ‘tear sheets’ setting forth the guideline’s recommendations including to doctors in Massachusetts. One of the most glaring omissions in Massachusetts’ complaint continues to be that, in 2013, the Office of Inspector General (“OIG”) of the Department of Health and Human Services determined that Purdue had fulfilled its requirements under a 2007-2012 Corporate Integrity Agreement (“CIA”) relating to the marketing of its medications and released Purdue from the agreement. Furthermore, during the term of this five-year agreement, Purdue had submitted annual reports to a designated OIG monitor and had engaged an Independent Review Organization that evaluated specified elements of Purdue’s compliance program on a periodic basis to assess compliance with the terms of the CIA. We believe that no pharmaceutical manufacturer has done more to address the opioid addiction crisis than Purdue, and we continue to work closely with and governments and law enforcement agencies on this difficult social issue. Since 2000, we have pursued more than 65 initiatives [purduepharma.com] in an effort to minimize diversion and abuse pharmaceutical opioid medications. For example, when Purdue learned that Oxycontin tablets could be crushed to defeat the time-release properties and extract the active ingredient, Purdue invested hundreds of millions of dollars to receive FDA approval of the first prescription opioid with abuse-deterrent properties (2010). And when the Centers for Disease Control issued new guidelines for doctors to use prescribing prescription opioids, we promptly sent that updated information to health care professionals. Purdue and the individual defendants will continue to defend themselves against these misleading and deliberately inflammatory allegations. In the meantime, Purdue continues to fight for balance in the public discourse so that society can simultaneously help pain patients in need and create real solutions to the complex problem of addiction." "Along with all of my colleagues at Purdue Pharma, I am deeply concerned about the public health crisis of opioid addiction. Our hearts go out to the families and communities impacted by the crisis. But in my experience across a variety of industries, no complex societal problem - let alone one as challenging as this public health crisis – can effectively be solved by litigation. The various Sackler family members, whom I have come to know since joining the Purdue Pharma Board last July, are good people and their history of philanthropy is truly admirable. The mischaracterizations of them in the litigation are worse than unfair and do not resemble the people whom I have come to know and admire. Likewise, Purdue is a good company with a management team that is dedicated to making medicines that help patients and physicians. The company and its board of directors will work diligently to reach a fair resolution of the current litigation, and we will continue to support solutions that can help address the opioid addiction crisis. Purdue has for decades invested in constructive solutions to the complex problem of addiction and we are committed to expanding on these efforts and doing even more. Purdue worked for over a decade and spent hundreds of millions of dollars to develop a new, abuse deterrent formulation of OxyContin, and it was the first opioid approved by the FDA with abuse deterrent properties. Purdue has also partnered with law enforcement to combat abuse and diversion of prescription drugs and funded programs to educate high school students about the dangers of prescription opioid abuse. And Purdue worked diligently to fulfill its commitments under its Corporate Integrity Agreement (CIA), under close federal scrutiny, and successfully concluded all its obligations in 2013. Looking back at this record, I am proud of Purdue's employees and proud to serve as Chairman of a company that is committed to helping save lives by doing the right thing." "None of the documents cited by the Attorney General support her fictional narrative that the company was only interested in promoting higher doses. In fact, Oxycontin has always been sold in a variety of doses (range of tablet strengths) that allow doctors to more easily titrate patients up and down to find the appropriate dose for pain relief. Pain is often inadequately treated and Purdue encouraged doctors to find the appropriate dose to allow the patient to receive adequate pain relief. These assessments were done by a healthcare provider using his or her medical expertise."